Bachmann had one and only one path to the nomination – to unite the 25%-35% of the party who do not want an establishment Republican (not even a “conservative” establishment Republican). The path existed only if Bachmann established herself as a viable candidate on her own andbrought with her a coalition which included Palin supporters. Uniting the base not dividing the base should have been Bachmann’s goal. Instead Bachmann viewed Palin entering the race as a threat and therefore decided that attacking Palin through surrogates was the best tactic, but that was myopic. If Palin enters the race, Bachmann is done regardless of anything Bachmann did or didn’t do; but if Palin does not enter the race Bachmann could have had the chance to lead the coalition. That chance is gone because Bachmann destroyed the coalition, or at least her ability to lead it. Bachmann will not be the nominee, regardless of whether Palin runs, and Bachmann has no one to blame but herself. So disgusted, apparently, is Prof. Jacobson with Bachmann that he titles his post “Anyone but Bachmann” which, coming from such a highly admired academic (The Other McCain’s Stacy McCain is a big supporter) is strong condemnation indeed. It is noticeable that Palin has, to my knowlege, never attacked another Republican,certainly in the manner that Bachmann’s attack dog Rollins did to her as she believes in Reagan’s golden rule. To have lost such a solid voice of reason so early in the piece reflects badly on Bachmann and her prospects. I for one will never vote for her. These photos were taken by Piper Palin as the One Nation Tour travelled through Illinois on Saturday, August 13th. As published at SarahPAC: Piper’s Pics! We had a wonderful morning touring the Lincoln Presidential Library and Museum in Springfield, Illinois. About a year ago, I was honored to give a speech before the Lincoln Memorial in Washington, D.C. for the Restoring Honor Rally. Standing in the shadow of that massive monument to the Great Emancipator might make one forget that this heroic leader came from very humble beginnings in what was considered at the time a very remote part of the country. 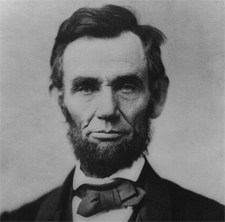 In fact, the east coast establishment long dismissed Lincoln as just a frontier political figure, and he never really won over that establishment. But it was as a “prairie lawyer” in Springfield that Lincoln honed the oratory and debate skills he used to persuade and inspire his fellow Americans in freeing the slaves and preserving our Union. These heartland roots are what made him who he was. It was truly inspiring to learn more about this great man from those who tend to his legacy with such devotion. We learned a wealth of information about the Civil War, the Emancipation Proclamation, and Lincoln’s life. Many thanks to the professional staff, volunteers, and historians at the Lincoln Presidential Library and Museum for all they do to preserve this important aspect of American history and educate future generations. Obama: The Administration strongly opposes H.R. 2560, the “Cut, Cap and Balance Act of 2011.” Neither setting arbitrary spending levels nor amending the Constitution is necessary to restore fiscal responsibility. Increasing the Federal debt limit, which is needed to avoid a Federal government default on its obligations and a severe blow to the economy, should not be conditioned on taking these actions. Instead of pursuing an empty political statement and unrealistic policy goals, it is necessary to move beyond politics as usual and find bipartisan common ground. Did we all fall asleep after he said “restore fiscal responsibility”. 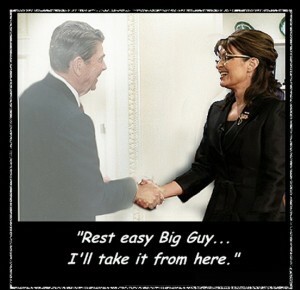 Palin: We’re beyond Cut, Cap & Balance. Now we’re telling Congress, cut the crap and balance! Of course, the audience at the fair went wild with laughter. She makes the following statement: “I’m just saying that candidness, not fearing so much what the interpretation is going to be when it comes to the comments and positions you’re articulating but just speaking from the heart” quoted at 2012 Iowa State Fair. At that Fair, did you also notice she made the following statement and I paraphrase: What has the Federal Education Department done to improve the education of our children? Why is this Department necessary…..it should be a state’s responsibility?” While they are looking for what expenses to cut, has Obama, or for that matter any other Republican candidate, articulated their position more clearly on that expenditure? She doesn’t use a teleprompter. She doesn’t speak legalize. She doesn’t parse her words. Her message is straightforward, to the point and one the average American can understand but is not for consumption by the inside the beltway LSM columnists. The latter just cannot fathom why someone who speaks so directly with her easy style is so well accepted by the public. If only they would not be so enamored with words and more accepting of a person who leads, the media could again become the 4th estate. The “fourth estate” is used to emphasize the independence of the Press, but in America the 4th estate has become the 4th department of the Obama administration. They are enamored with his words, while his actions lead us further away from what made America exceptional. That is why the new online media is assuming the role of the 4th estate. It is also why the new media follows Sarah Palin with raw conviction. They know she will not disappoint and the timing of her candidacy announcement will strike fear in Obama’s reelection aspirations. Good morning from Springfield, Illinois! We had another great day yesterday traveling through the Midwest. We stopped to walk in the footsteps of Ronald Wilson Reagan at his alma mater Eureka College, enjoyed fried chicken at a local restaurant that “Dutch” frequented, and crossed on a few dirt roads following field after field of corn and soybeans. Our country is an extraordinarily beautiful place. But the people here are everything. As Reagan said, “The most valuable lesson I learned at Eureka is that every individual makes a difference.” Individuals can make a difference. We have to. The gritty, humble strength of America’s heartland is on display in the places we’ve visited the last few days, where individuals work together to pull resource and bounty from our land. We’ve met so many great people who are committed to their community and united by strong values and love of country. Thank you Eureka, Dixon, and all the places we stopped at yesterday. This trip continues to inspire at every turn. P.S. Congratulations to all those who participated in Ames yesterday. As published at SarahPAC: Good Sunday Morning!